to protect Americans, the United States must ensure that those admitted to this country do not bear hostile attitudes toward it and its founding principles. The United States cannot, and should not, admit those who do not support the Constitution, or those who would place violent ideologies over American law. In addition, the United States should not admit those who engage in acts of bigotry or hatred (including "honor" killings, other forms of violence against women, or the persecution of those who practice religions different from their own) or those who would oppress Americans of any race, gender, or sexual orientation. 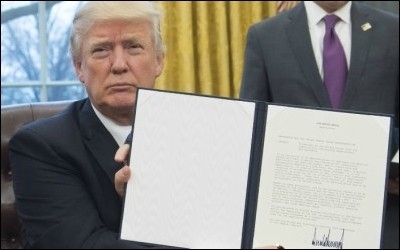 On January 27, 2017, signed an executive order proclaiming that the United States cannot admit those who "do not support the Constitution, or those who would place violent ideologies over American law." Determining who fits this description is difficult and demands great skill but can be done, beginning with intensive entrance interviews. This passage raises several questions of translating extreme vetting in practice: How does one distinguish foreigners who "do not bear hostile attitudes toward it and its founding principles" from those who do? How do government officials figure out "those who would place violent ideologies over American law"? More specifically, given that the new procedures almost exclusively concern the fear of allowing more Islamists into the country, how does one identify them? I shall argue these are doable tasks and the executive order provides the basis to achieve them. At the same time, they are expensive and time-consuming, demanding great skill. Keeping out Islamists can be done but not easily. By Islamists (as opposed to moderate Muslims), I mean those approximately 10-15 percent of Muslims who seek to apply Islamic law (Shari'a) in its entirety. They want to implement a medieval code that calls (among much else) for restricting women, subjugating non-Muslims, violent jihad, and establishing a caliphate to rule the world. For many non-Muslims, the rise of Islamism over the past forty years has made Islam synonymous with extremism, turmoil, aggression, and violence. But Islamists—not all Muslims—are the problem; they—not all Muslims—must urgently be excluded from the United States and other Western countries. Not just that, but anti-Islamist Muslims are the key to ending the Islamist surge as they alone can offer a humane and modern alternative to Islamist obscurantism. U.S. bureaucrats are unsurprisingly incompetent at vetting possible Islamists. In 2001, the Pentagon invited Anwar al-Awlaki, the American Islamist, to lunch. In September 2011, he became the first United States citizen to be targeted and killed by a U.S. drone strike. Identifying Islamists is no easy matter, however, as no simple litmus test exists. Clothing can be misleading as some women wearing hijabs are anti-Islamists while practicing Muslims can be Zionists; nor does one's occupation indicate much, as some high-tech engineers are violent Islamists. Likewise, beards, teetotalism, five-times-a-day prayers, and polygyny do not tell about a Muslim's political outlook. To make matters more confusing, Islamists often dissimulate and pretend to be moderates while some believers change their views over time. Finally, shades of gray further confuse the issue. As noted by Robert Satloff of The Washington Institute, a 2007 book from the Gallup press, Who Speaks for Islam? What a Billion Muslims Really Think, based on a poll of more than 50,000 Muslims in ten countries, found that 7 percent of Muslims deem the 9/11 attacks "completely justified"; 13.5 percent consider the attacks completely or "largely justified," and 36.6 percent consider the attacks completely, largely, or "somewhat justified. "Which of these groups does one define as Islamist and which not? Islamists have fooled the White House, the departments of Defense, Justice, State, and Treasury, Congress, and law enforcement. In 2002, FBI spokesman Bill Carter described the American Muslim Council (AMC) as "the most mainstream Muslim group in the United States"—just two years before the bureau arrested the AMC's founder and head, Abdurahman Alamoudi, on terrorism-related charges. Alamoudi has now served about half of his 23-year prison sentence. The White House included staff in 2015 from the Council on American-Islamic Relations (CAIR) in its consultations despite CAIR's initial funding by a designated terrorist group, the frequent arrest or deportation of its employees on terrorism charges, a history of deception, and the goal by one of its leaders to make Islam the only accepted religion in America. Fake-moderates have fooled even this author, despite all the attention devoted to this topic. In 2000, I praised a book by Tariq Ramadan; four years later, I argued for his exclusion from the United States. In 2003, I condemned a Republican operative named Kamal Nawash; two years later, I endorsed him. Did he evolve or did my understanding of them change? More than a decade later, I am still unsure. 6. A mechanism to assess whether or not the applicant has the intent to commit criminal or terrorist acts after entering the United States. Elements 1, 3, 5, and 6 permit and demand the procedure outlined in the following analysis. It contains two main components: in-depth research and intensive interviews. When a person applies for a security clearance, the background checks should involve finding out about his family, friends, associations, employment, memberships, and activities. Agents must probe these for questionable statements, relationships, and actions, as well as anomalies and gaps. When they find something dubious, they must look further into them, always with an eye for trouble. Is access to government secrets more important than access to the country? The immigration process should start with an inquiry into the prospective immigrant and, just as with security clearances, the border services should look for problems. Most everyone with strong views at some point vents them on social media. In the case of virulent, overt, outspoken jihadis, this research usually suffices to provide evidence to exclude them. Even some nonviolent Islamists proudly announce their immoderation. But many Islamists adopt a milder and subtler tone, their goal being to appear moderate so they can enter the country and then impose Shari'a through lawful means. As suggested by some of the examples above, such as Abou El Fadl or CAIR, research often proves inadequate in these instances because cautious Islamists hide their goals and glibly dissimulate, which brings us to entrance interviews. Recorded: With the explicit permission of the person being questioned ("You understand and accept that this interview is being recorded, right? "), the exchange should be visibly videotaped so the proceedings are unambiguously on the record. This makes avail-able the interviewee's words, tone, speech patterns, facial expressions, and body language for further study. Form as well as substance matters: Does the interviewee smile, fidget, blink, make eye contact, repeat, sweat, tremble, tire, need frequent toilet breaks, or otherwise express himself. Effective interviewing requires a battery of queries on many topics. Specific: Vague inquiries along the lines of "Is Islam a religion of peace? "; "Do you condemn terrorism? "; "How do you respond to the murder of innocents?" depend too much on one's definition of words such as peace, terrorism, and innocents to help determine a person's outlook, and so should be avoided. Instead, questions must be focused and exact: "May Muslims convert out of Islam, whether to join another faith or to become atheists? "; "Does a Muslim have the right to renounce Islam?" For questions to be effective at ferreting out the truth, examiners must look for inconsistency by asking the same thing in different ways. An example: "May a woman show her face in public?" and "Is a male guardian responsible for making sure his women-folk don't leave the house with faces uncovered?" Variety in phrasing: For the questions to ferret out the truth means looking for divergence and inconsistency by asking the same question with different words and variant emphases. A sampling: "May a woman show her face in public? "; "What punishment do you favor for females who reveal their faces to men not related to them by family? "; "Is it the responsibility of the male guardian to make sure his women-folk do not leave the house with faces uncovered? "; "Should the government insist on women covering their faces? "; "Is society better ordered when women cover their faces?" Any one of the questions can be asked in different ways and expanded with follow-ups about the respondent's line of reasoning or depth of feeling. 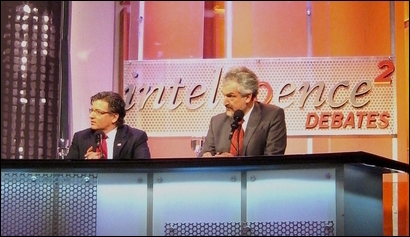 Zuhdi Jasser (L) with the author as teammates at a 2012 Intelligence Squared debate in New York City. The following questions, offered as suggestions to build on, are those of this author but also derive from a number of analysts devoting years of thinking to the topic. Naser Khader, the-then Danish parliamentarian of Syrian Muslim origins, offered an early set of questions in 2002. A year later, this author published a list, covering seven subject areas. Others followed, including the liberal Egyptian Muslim Tarek Heggy, the liberal American Muslims Tashbih Sayyed and Zuhdi Jasser, the ex-Muslim who goes by "Sam Solomon," a RAND Corporation group, and analyst Robert Spencer. Of special interest are the queries posed by the German state of Baden-Württemberg dated September 2005 because it is an official document (intended for citizenship, not immigration, but with similar purposes). 1. May Muslims reinterpret the Qur'an in light of changes in modern times? 7. [Asked of Sunnis only:] Are Sufis, Ibadis, and Shiites Muslims? 10. When Islamic customs conflict with secular laws (e.g., covering the face for female drivers' license pictures), what should be done? 16. Do you favor a mutawwa (religious police) as exist in Saudi Arabia? 17. Should the state enforce the criminal punishments of the Shari'a? 25. Should a husband have to get a first wife's approval to marry a second wife? A third? A fourth? 28. Should Muslim women have equal rights with men (for example, in in-heritance shares or court testimony)? 29. Does a woman have the right to dress as she pleases, including showing her hair, arms, and legs so long as her genitalia and breasts are covered? 31. Do Muslim women have a right to work outside the home or must the wali approve of this? 43. Should students be taught that Shari'a is a personal code or that governmental law must be based on it? 45. Would you permit your child to take part in school trips, including over-night ones? 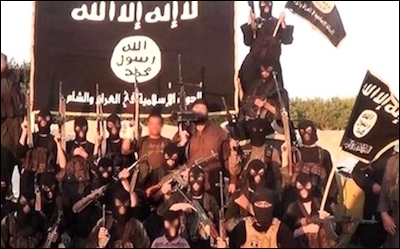 Denying the Islamic nature of ISIS reveals much about a Muslim. 47. Did Islam spread only through peaceful means? 48. Do you accept the legitimacy of scholarly inquiry into the origins of Islam even if it casts doubt on the received history? 51. Do you accept enhanced security measures to fight Islamism even if this might mean extra scrutiny of yourself (for example, at airline security)? 55. Is the "war on terror" a war on Islam? 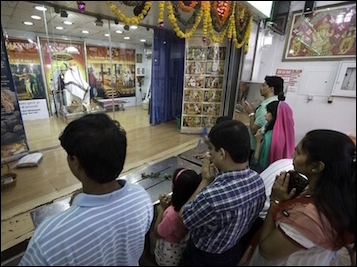 Praying at the Hindu Temple in Dubai, founded 1958. 56. Do all humans, regardless of gender, ethnicity, sexual orientation, or religious beliefs, deserve equal rights? 65. May Muslims compel "Peoples of the Book" (i.e., Jews and Christians) to pay extra taxes? 70. Should it stop requiring that all its subjects be Muslim? 71. Should Muslims fight Jews and Christians until these "feel themselves subdued" (Qur'an 9:29). 72. Is the enslavement of non-Muslims acceptable? 73. Is it acceptable to arrest individuals who curse the prophet of Islam or burn the Qur'an? 74. If the state does not act against such deeds, may individual Muslims act? 75. Can one live a fully Muslim life in a country with a mostly non-Muslim government? 76. Should a Muslim accept a legitimate majority non-Muslim government and its laws or work to make Islam supreme? 77. Can a majority non-Muslim government unreservedly win your allegiance? 78. Should Muslims who burn churches or vandalize synagogues be punished? 79. Do you support jihad to spread Islam? 80. Do you endorse corporal punishments (mutilation, dismemberment, crucifixion) of criminals? 81. Is beheading an acceptable form of punishment? 82. Is jihad, meaning warfare to expand Muslim rule, acceptable in today's world? 83. What does it mean when Muslims yell "Allahu Akbar" as they attack? 84. Do you condemn violent organizations such as Boko Haram, Hamas, Hezbollah, Islamic Jihad, the Islamic State, al-Qaeda, Shabab, and the Taliban? 85. Are non-Islamic institutions immoral and decadent or can they be moral and virtuous? 86. Do you agree with studies that show non-Muslim countries such as New Zealand to be better living up to the ideals of Islam than Muslim-majority countries? 87. Is Western-style freedom an accomplishment or a form of moral corruption? Why? 88. Do you accept that Western countries are majority-Christian or do you seek to transform them into majority-Muslim countries? 89. Do you accept living in Western countries that are secular or do you seek to have Islamic law rule them? 90. What do you think of Shari'a-police patrolling Muslim-majority neighborhoods in Western countries to enforce Islamic morals? 91. Would you like to see the U.S. Constitution (or its equivalents in other countries) replaced by the Qur'an? 92. In an immigration interview like this, if deceiving the questioner helps Islam, would lying be justified? 93. Why should I trust that you have answered these questions truthfully? Questions about highly charged current issues should be omitted because Islamist views overlap with non-Islamist outlooks. Islamists are hardly the only ones who condemn Israel. Here Jewish Voice for Peace activists protest. Note the absence of questions about highly charged current issues. This is because Islamist views overlap with non-Islamist outlooks; plenty of non-Islamists agree with Islamists on these topics. 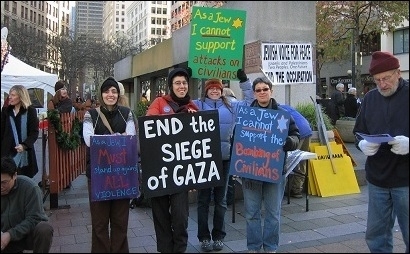 Although Liel Leibowitz, for instance, sees Israel as "moderate Islam's real litmus test," Islamists are hardly the only ones who demand Israel's elimination and accept Hamas and Hezbollah as legitimate political actors—or believe the Bush administration carried out the 9/11 attacks, or hate the United States. Why introduce these ambiguous issues when so many Islam-specific questions (e.g., "Is the enslavement of non-Muslims acceptable?") have the virtue of far greater clarity? The interviewing protocol requires case officers knowledgeable about those being interviewed, the societies they come from, and the Islamic religion. The interviewing protocol outlined above is extensive, asking many specific questions over a substantial period using different formulations, probing for truth and inconsistencies. It is not quick, easy, or cheap, but requires case officers knowledgeable about the persons being interviewed, the societies they come from, and the Islamic religion; they are somewhat like a police questioner who knows both the accused person and the crime. This is not a casual process. There are no shortcuts. This procedure raises two criticisms: It is less reliable than Trump's no-Muslim policy, and it is too burdensome for governments to undertake. Both are readily disposed of. Less reliable: The no-Muslim policy sounds simple to implement but figuring out who is Muslim is a problem in itself (are Ahmadis Muslims?). Further, with such a policy in place, what will stop Muslims from pretending to renounce their religion or to convert to another religion, notably Christianity? These actions would require the same in-depth research and intensive interviews as described above. If anything, because a convert can hide behind his ignorance of his alleged new religion, distinguishing a real convert to Christianity from a fake one is even more difficult than differentiating an Islamist from a moderate Muslim. Too burdensome: True, the procedure is expensive, slow, and requires skilled practitioners. But this also has the benefit of slowing a process that many, myself included, consider out of control with too many immigrants entering the country too quickly. Immigrants numbered 5 percent of the population in 1965, 14 percent in 2015, and are projected to make up 18 percent in 2065. This is far too large a number to assimilate into the values of the United States, especially when so many come from outside the West; the above mechanism offers a way to slow it down. As for those who argue that this sort of inquiry and screening for visa purposes is unlawful, prior legislation for naturalization, for example, required that an applicant be "attached to the principles of the Constitution" and it was repeatedly found to be legal. Finally, today's moderate Muslim could become tomorrow's raging Islamist, or his infant daughter might two decades later become a jihadi. While any immigrant can turn hostile, such changes happen far more often among born-Muslims. There is no way to guarantee preventing this from happening, but extensive research and interrogations reduce the odds. Truly to protect the country from Islamists requires a major commitment of talent, resources, and time. But, properly handled, these questions offer a mechanism to separate enemy from friend among Muslims. They also have the benefit of slowing down immigration. Even before Trump became president, if one is to believe CAIR, the U.S. Customs and Border Protection Agency (CBP) asked questions along the lines of those advocated here (What do you think of the USA? What are your views about jihad? See the appendix below for a full listing). With Trump's endorsement, let us hope this effective "no-Islamists" policy is on its way to becoming systematic. Daniel Pipes (DanielPipes.org, @DanielPipes) is president of the Middle East Forum. This analysis derives from a chapter in Conceptualizing Moderate Islam, edited by Richard Benkin (Lanham, Md. : Lexington Books, 2017). Are you a devout Muslim? Are you Sunni or Shia? What school of thought do you follow? Which Muslim scholars do you follow? What current Muslim scholars do you listen to? Do you pray five times a day? Why do you have a prayer mat in your luggage? Why do you have a Qur'an in your luggage? Have you visited Saudi Arabia? Will you ever visit Saudi Arabia or Israel? What do you know about the Tableeghi-Jamat? What do you think of the USA? What are your views about Jihad? What mosque do you attend? Do any individuals in your mosque have any extreme/radical views? Does your Imam express extremist views? What are the views of other imams or other community members that give the Friday sermon at your mosque? Do they have extremist views? Have you ever delivered the Friday Prayer? What did you discuss with your community? What are your views regarding [various terrorist organizations]? What social media accounts do you use? What is your Facebook account username? What is your Twitter account username? What is your Instagram account username? What are the names and telephone numbers of parents, relatives, friends? Do you think we should allow someone like you to enter our country? Why did you shave your beard? Which school of thought do you follow? What do you think of America's foreign policy towards the Muslim world? What do you think of killing non-Muslims? What do you think of [various terrorist groups]? Finally, CAIR indicates that those questioned "were held between 2 to 8 hours by CBP." Daniel Pipes, "How Many Islamists?" Lion's Den Blog, Sept. 23, 2016. Zainab Al-Suwaij, "How Islamists are hurting Muslims, and what we can do about it," The Institute of World Politics, Washington, D.C., May 18, 2010. The Daily Mail (London), Dec. 22, 2015. The New York Times, Sept. 10, 2010. Robert Satloff, "Just Like Us! Really?" The Weekly Standard, May 12, 2008. Daniel Pipes, "The U.S. Government's Poor Record on Islamists," Lion's Den Blog, July 23, 2016. Fox News, Oct. 20, 2010. The Washington Times, June 24, 2002. U.S. Dept. of Justice, "Abdurahman Alamoudi Sentenced to Jail in Terrorism Financing Case," Oct. 15, 2004. Los Angeles Times, Aug. 14, 2003. John Rossomando, "Obama White House Turns to Islamists," IPT News, Investigative Project, Dec. 28, 2015. Daniel Pipes and Sharon Chadha, "CAIR: Islamists Fooling the Establishment," Middle East Quarterly, Spring 2006. Daniel Pipes, "Bibliography: My Writings on Not Trusting CAIR," Lion's Den Blog, Dec. 14, 2007. World Net Daily (Washington, D.C.), Dec. 11, 2006. The New York Times, Dec. 12, 2015. Euronews (Lyon, France), Dec. 16, 2015. Daniel Pipes, "Hamza Yusuf Fails My 'Test,'" Lion's Den Blog, Jan. 16, 2017. Liel Leibowitz, "Moderate Islam's Real Litmus Test? Israel," Tablet Magazine, accessed Jan. 20, 2017. "Hispanic Trends: Immigration's Impact on Past and Future U.S. Population Change," Pew Research Center, Washington, D.C., Sept. 28, 2015. James Ciment and John Radzilowski, "McCarran-Walter Act (1952)," American Immigration: An Encyclopedia of Political, Social, and Cultural Change (New York: Routledge, 2 ed, 2013), p. 940. Daniel Pipes, "50 Years of Dangerous Immigration Legislation," National Review Online, The Corner, Oct. 3, 2015. "CAIR-FL Files 10 Complaints with CBP after the Agency Targeted and Questioned American-Muslims about Religious and Political Views," CAIR Florida, Jan. 18, 2017. Related Topics: Counter-terrorism, Immigration, US policy | Daniel Pipes | Spring 2017 MEQ receive the latest by email: subscribe to the free mef mailing list This text may be reposted or forwarded so long as it is presented as an integral whole with complete and accurate information provided about its author, date, place of publication, and original URL.